With more wild weather forecast for the future, access to safe water is going to get harder for the world’s poorest communities. Our task is to build resilience. Julietta Chauque, 42, from Marien Ngouabi in Mozambique. 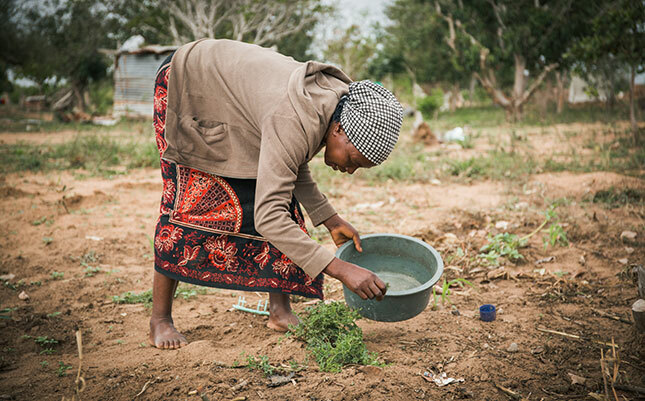 63% of Mozambique’s rural population live without access to safe water. 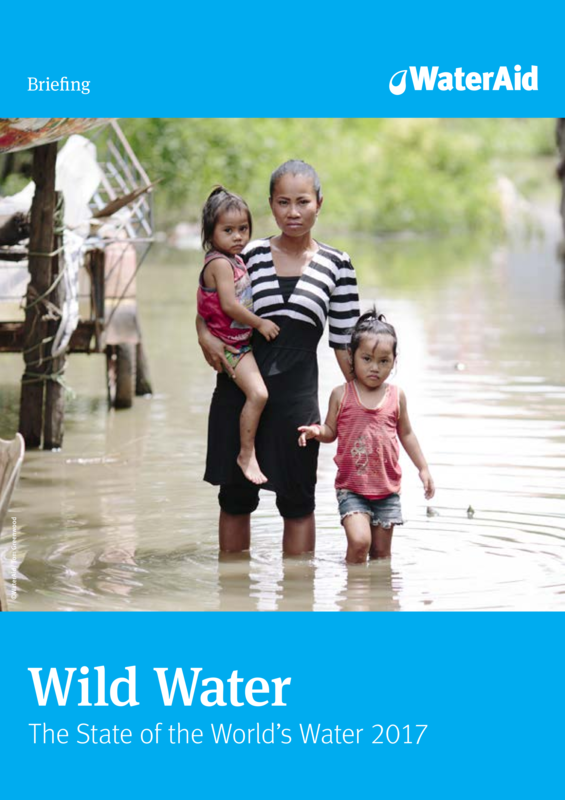 On 22 March 2017, on the occasion of World Water Day, WaterAid UK launched a new report on the simple infrastructure needed that can help mitigate the dangers of extreme weather events on water, sanitation and hygiene. Climate change manifests itself in many ways including water change. Unpredictable weather patterns – referred to in the report as ‘wild water’ – mean more storm surges, ruinous flooding, prolonged droughts and contaminated water sources. The Intergovernmental Panel on Climate Change warns that malnutrition is likely to rise in poor regions as people struggle to grow food. This growing threat will be compounded by infections caused by unsafe water, poor sanitation and a lack of hygiene, which has been estimated to account for up to 50% of all cases of malnutrition. The report includes case studies from Papua New Guinea, Madagascar and Mozambique – the fourth, fixth and sixth countries in the world for percentage of rural population without safe water. Finally, the report concludes with 6 key actions to be prioritised on government agendas. WaterAid UK states that a community with a well-maintained water source, such as a rainwater collection system, is much more likely to survive a drought and well-built toilets help prevent the spread of human waste and reduce the risk of waterborne diseases. 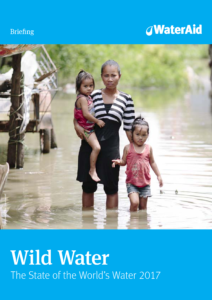 These facts and more have been identified in the briefing which looks at the struggles of vulnerable rural communities to access water when compunded by wild water events.